WordPress was originally known and widely used for its free blogging system. Now it is growing recognition for its free PHP CMS. Wordpress features include widgets, switchable themes, clean permalink structure, and can assign nested categories to articles allowing the client to show the same information on two pages while only edited in one article. 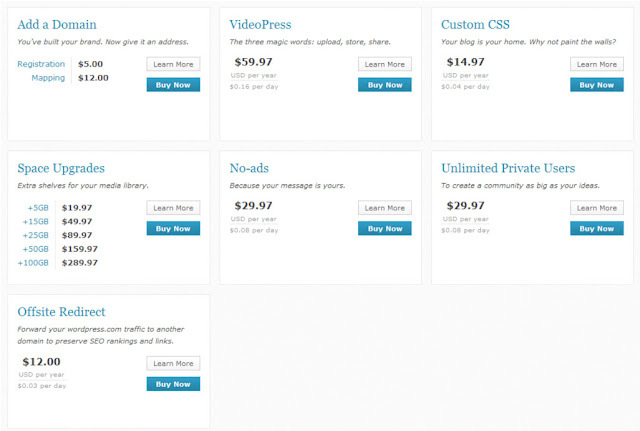 The user can also create a number of websites using only one installation of WordPress. The user community is the true strength of the Wordpress platform with millions of websites built on it. With that community comes a great amount of flexibility when looking to push the limits of what you want to do with the platform. It is very easy to find an answer to sometimes the most complex questions. When it comes to design, Wordpress offers a ton of options -- you can either pick one of thousands of pre-made themes or design and customize your own. Six Revisions has listed a few more features in there WordPress 3.0 blog. Wordpress is singular, not modular.You can have many templates, but a template applies to a single page. There is a giant content box where you can switch between WYSIWYG and HTML modes, but other then an Except box or a few custom fields, you don't have the ability to provide a user 5-6 different text area boxes they can add content to. (Note: Expression Engine allows for this but their template system is more challenging.) Wordpress makes it very easy to drop a new theme in and activate it. A lot of people think that WordPress is free... There are options that everyone wants to have on their own website, such as no advertisements, custom CSS, private users and additional storage space. These options within Wordpress.com (hosted version) are NOT free. They are not very expensive -- each feature is sold for an annual fee. However, with Wordpress.org (self-hosted), you can do whatever you like without additional costs and customize all files as much as desired, completely free beyond your hosting vendors costs or extras. Wordpress may be a security concern for some companies. One security issue within Wordpress was the ability to easily to hack into anyone's WordPress database because of the default username, "admin", that was given automatically to any WordPress account. With WordPress 3.0, they have eliminated this security leak by having the user create a new username and then delete the "admin" username. In addition, running open source of any kind could be a security risk for those who have a large amount of sensitive information online or prone to attack. For those - I suggest a hosted solution where source code is not available to the general public. Is Wordpress right for you and your business? To keep Wordpress simple, most of the complex functionality has been outsourced to third party developers/solutions - this may not be an option for larger companies looking for a complete solution or willing to deal with multiple vendors and integration limitations. Wordpress is great for most small and medium sized businesses who need a simple yet flexible CMS. Larger companies who have advanced needs will not find Wordpress to be sufficient enough without heavy modification. If you are specifically looking for complex user permissions and content access restrictions then you will run into limits without additional development or third party support. Wordpress is meant more as a blog engine, but can still be powerful as a CMS tool. It has come quite a way from its start as a pure blogging platform and can now handle content as effectively (and in some ways, better) than traditional CMS's. Wordpress' flexibility appeals to the more advanced users while the interface is simple enough for the standard content contributor. Most who leave do so out of necessity - requiring a more advanced platform. The more we look at different CMS systems, it is clear that many are good and could work well for your business. The difficult part is the learning curve to each of them, there are limitations, and there are things you will need an expert to help with -- allow us to be your web "expert" and get you set up on a CMS platform that will work for your business as you grow. We can offer customizations and training to meet all of your needs. Call TBH Creative today to talk about Content Management Systems.